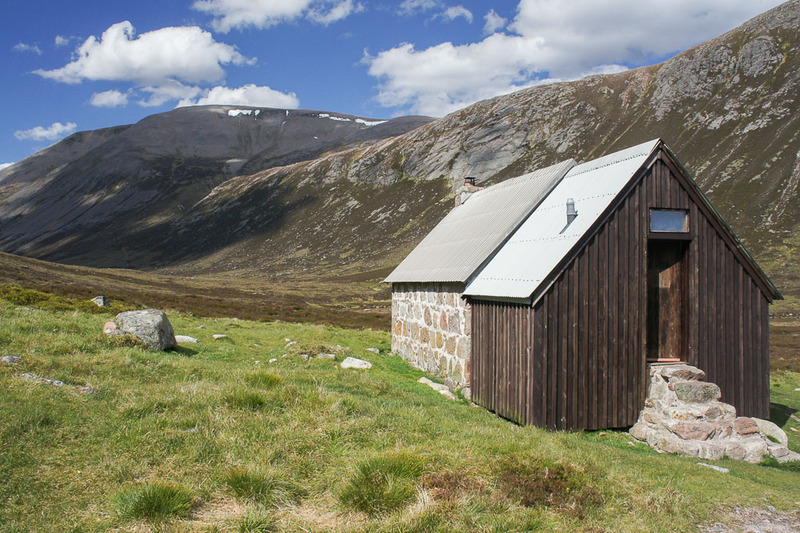 “The toilet at Corrour Bothy was built by the MBA and opened in 2007, since when it has prevented literally tons of human waste from polluting the area around the bothy. However the volume of use has meant that maintaining and servicing the toilet has been very labour intensive and necessitated monthly visits from a dedicated but very small group of volunteers. 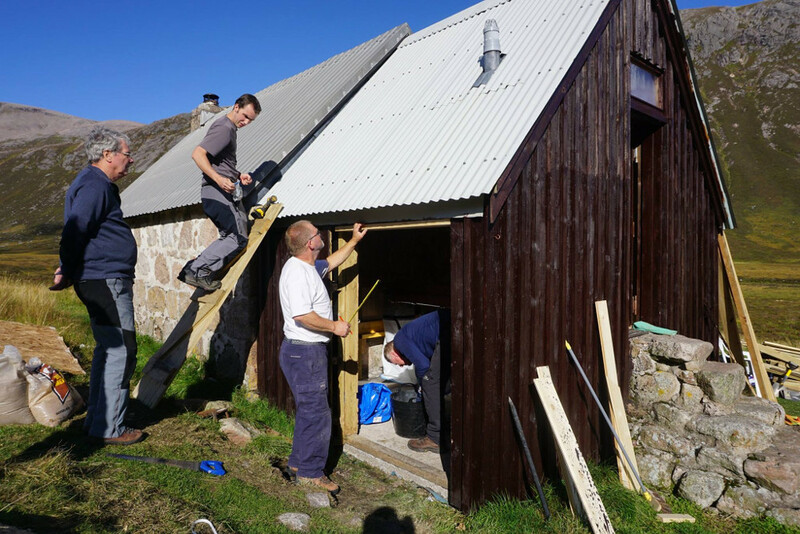 In an effort to ease their workload, it was decided to completely redesign the interior of the toilet annexe at the bothy, increasing the capacity so that the time between maintenance visits could be extended. 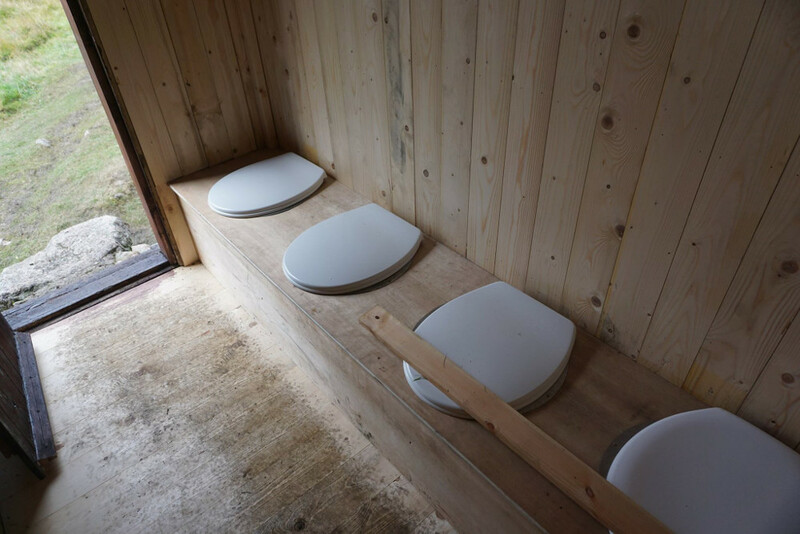 “Over two weekends in September a group of volunteers completely recreated the interior of the toilet. The public area, entered via the stone steps at the gable, now has four seats. Only two seats will be available for use at any one time with waste being collected in sacks below, while the other two will be sealed up, allowing the collected waste to dry out slightly. This should mean that even during the busy summer season, maintenance visits should only be required once every two months. Of course, the work during those visits will be doubled, but the whole operation will be easier as most of the problem in maintenance visits is the travelling and walk-in time.